Isolate Temperature Switch from process. 1.Remove temperature sensor from process. 3.For high Temperature Switch (TSH ),place sensor in a calibrated bath/block test standard at a temperature below the specified trip point and allow to stabilize. 4.For low Temperature Switch (TSL ),place sensor in a calibrated bath/block test standard at a temperature above the specified trip point and allow to stabilize. 5.Slowly increase or decrease temperature to obtain trip point. 6. 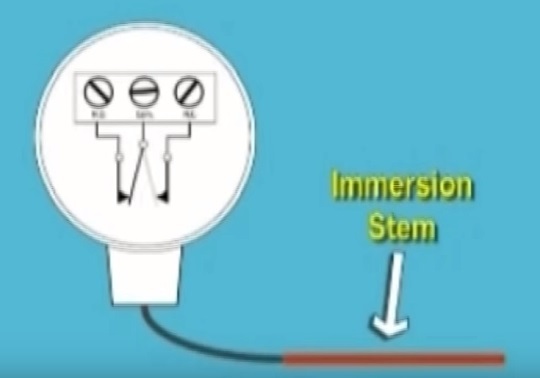 Slowly decrease or increase temperature to obtain reset point.